This past week, Northridge hit high temperature going into triple digits for the first week back to school. Along with the heat, there have been power outages all throughout Los Angeles due to the heat. According to the Los Angeles Department of Water and Power, around 8,000 people were left without power Wednesday. Douglas Wells Director of Engineering Services, says that the campus power inter grids are in really good shape but, for power outages, the grids depend on power provided by the LADWP. So if the lights go out, so do the grids. Wells says that that the system is running, but it is working, but running more than usual. CSUN has reached highs of 111 degrees, making students first week a little harder to attend than usual. 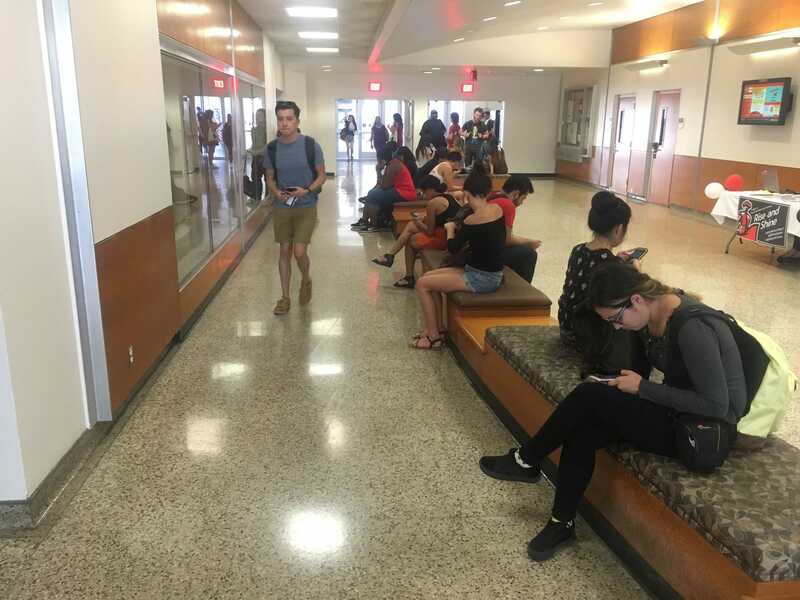 Ingrid Carrillo, Psychology major, third year says that the heat is ridiculous, and living so close to campus, that with this heat she doesn’t want to make the walk. Ashley Ramos, second year, says that the heat makes her uncomfortable coming to class all sweaty. In this heat, there are ways to stay cool and avoid the sun. Wells says that every night, the buildings are pre-cooled so they are ready in the morning. Along with that, students and staff should try to be efficient with power usage and to have doors and windows closed when the air conditioning is on. Ramos uses water refill stations around campus to stay cool, along with keeping out of the sun. Wells says they are operating at extreme conditions and to call if any room temperature feels above 80 degrees, but to also be patient. Their entire staff is staying to make sure CSUN stays cool under this extreme heat wave.